Wishing you the Easter holiday of your dreams! One filled with hope, love, good food, laughs, sweet kisses (both kinds), jumping jacks, and lots of junkmail flowers. That's right, baby. And thanks so much for lending me a hand with the survey. You are just just wonderful! Obrigada, Michele! Para você também uma feliz Páscoa! I love this - so pretty, so simple! Pretty cut paper flowers. 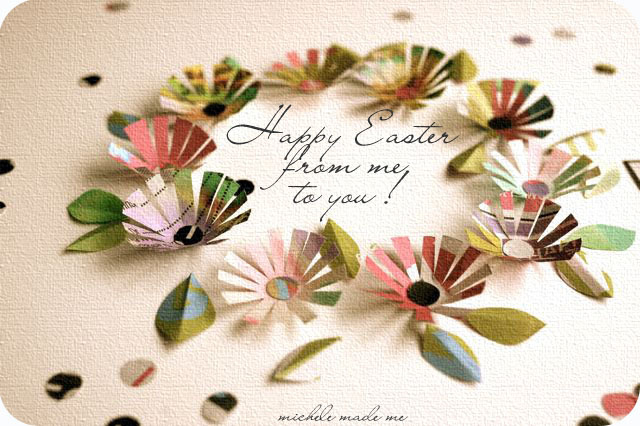 Thank you and hope you had a great Easter too!